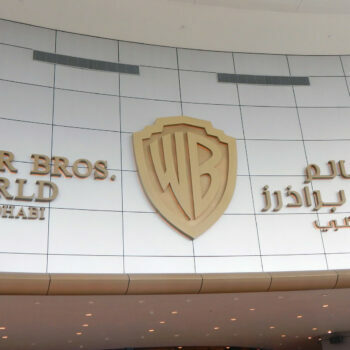 Warner Brothers opened their first indoor theme park in the United Arab Emirates on 25th July 2018. 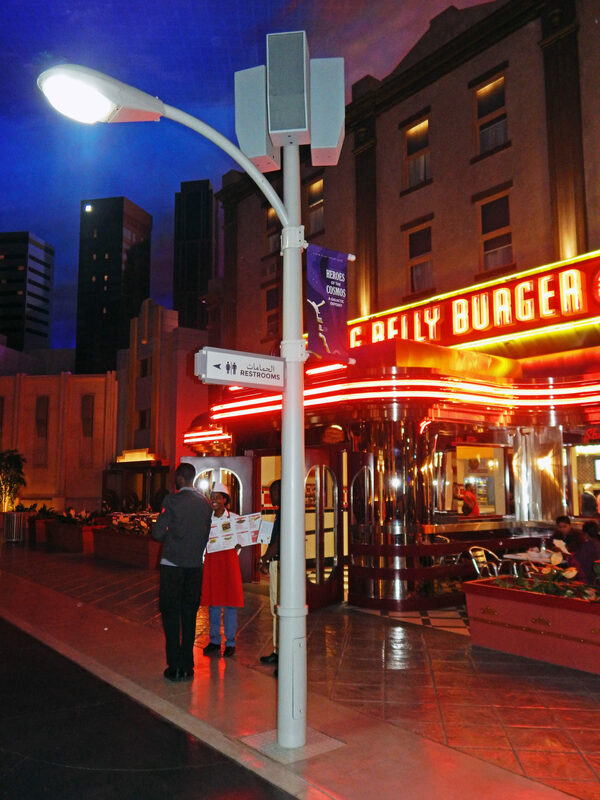 World of EFS, the lighting design team for the project, asked us to produce from concept drawing through to manufacturing the finished product, lighting columns for The Warner Bros. Plaza area of the park. 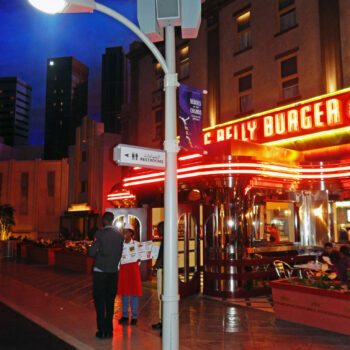 These columns would need to be cohesive with the vintage Hollywood theming and help to create an immersive experience for the park’s guests. 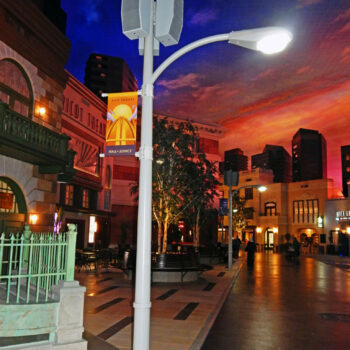 Our solution was flange plated tubular steel tapered columns with integral curved brackets and decorative rings. The columns were designed to support various attachments, allowing for more flexibility in how they will be utilised moving forward. The columns were also carefully colour matched with their lanterns, to ensure a consistent end product. 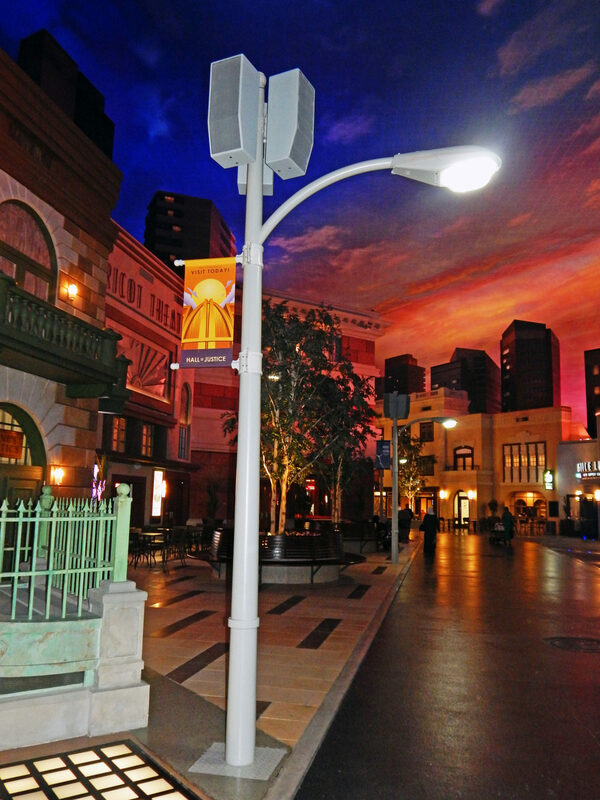 The columns were completed in September 2017 and delivered to the theme park for installation before the grand opening in July 2018. 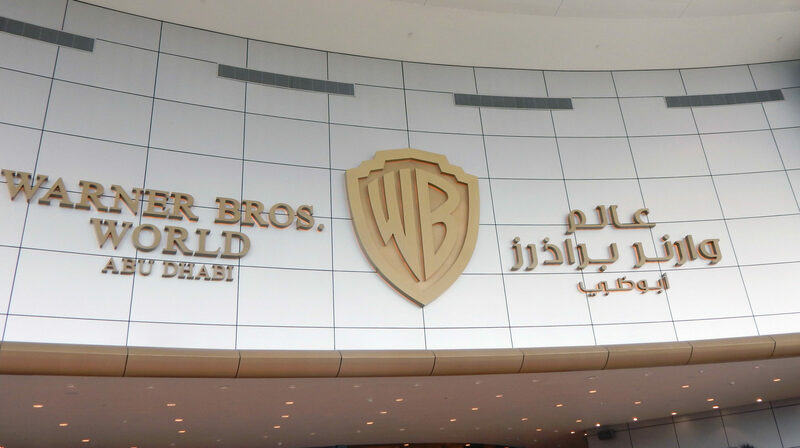 The installed columns blend perfectly into their environment and reflect the styling of The Warner Bros. Plaza area. The area is a completely immersive experience.